Indianapolis, Indiana – An intellectual property lawyer for DirecTV, LLC of El Segundo, California has sued in the Southern District of Indiana alleging the illegal use of DirecTV’s satellite signal. Named as Defendants in the complaint are Rodolpho Flores, who has been sued as an individual and also as an officer, director, shareholder, and/or principal of Mexico City Restaurant, Inc., d/b/a Mexico City Grill, and Mexico City Restaurant, Inc., d/b/a Mexico City Grill (collectively, “Defendants”). DirecTV claims that Defendants are located in Fishers and Indianapolis, Indiana. DirecTV seeks declaratory and injunctive relief as well as damages for the improper receipt, transmission and exhibition of its satellite programming signals. 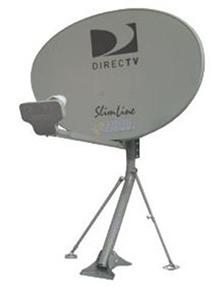 DirecTV distributes satellite programming throughout the United States. Through its operations, DirecTV provides this programming via specialized satellite-signal receiving equipment to subscribers who purchase a programming license by paying a subscription fee. In its intellectual property complaint, DirecTV acknowledges that it granted a license for commercial service at the Mexico City Grill located on Fishers Station Drive. However, it claims that the DirecTV receiver authorized for the Mexico City Grill on Fishers Station Drive was, in fact, used at a second Mexico City Grill located on Emerson Avenue without the proper authorization from DirecTV. This intellectual property lawsuit was brought under the Cable Communications Policy Act of 1984, 47 U.S.C. §521, et seq. DirecTV also asserts that Defendants’ conduct violates several federal statutes, including 18 U.S.C. §§2511 and 2512, and 47 U.S.C. §605, and laws of the State of Indiana. The complaint further alleges that Defendants’ use of an authorized commercial subscription to DirecTV in a commercial establishment for which it was not authorized was willful and unlawful. DirecTV asks for the following: a declaration that Defendants’ use of DirecTV was a violation of 18 U.S.C. §2511 and 47 U.S.C. §605 and that such violations were willful and for the purpose of commercial advantage; an injunction against further violations; statutory damages under 18 U.S.C. §2511; statutory damages under 47 U.S.C. §605; punitive damages; costs; attorney’s fees and interest. The suit was filed by Julie Cohen Lonstein of Lonstein Law Offices. The case was assigned to Judge Tanya Walton Pratt and Magistrate Judge Denise K. LaRue in the Southern District of Indiana and assigned Case No. 1:14-cv-01999-TWP-DKL.